First defeat of league's leader Al-Ahli (2-1) against Al-Manama (2-1) 80-69 was the most important game of the last round. Al-Manama looked well-organized offensively handing out 24 assists. It was a good game for international Wayne Chism (206-87, college: Tennessee) who led his team to a victory with a double-double by scoring 22 points, 16 rebounds and 4 assists. The former international forward Ahmed Ismaeel (203-90) contributed with 13 points, 10 rebounds and 6 assists for the winners. American-New Zealand forward Marcel Jones (203-85, college: Oregon St.) answered with a double-double by scoring 19 points and 12 rebounds for Al-Ahli. Al-Ahli's coach rotated ten players in this game, but that didn't help. Al-Ahli will play next round against Al-Najma trying to make it back to the top of the standings. It will be a derby game for which supporters look forward to, where their team will face at home their local rival from Manama - Al-Najma. Al-Manama will try to continue on its current victory against Al-Muharraq in Al Muharraq. Another interesting game for Al-Muharraq (2-1) which played in Manama against Al-Ittihad (1-2). Al-Muharraq won 74-66. It was a great evening for the former international center Chester Giles (211-85, college: Oregon St.) who led his team to a victory with a double-double by scoring 16 points, 20 rebounds and 7 blocks. Ahmed Aldurazi helped adding 17 points, 5 rebounds and 6 assists. The best for the losing side was Bosnian-Serbian center Mile Ilic (215-84) with a double-double by scoring 29 points and 25 rebounds. Al-Muharraq will play against Al-Manama in Manama in the next round and it will be for sure the game of the week. Al-Ittihad will play on the road against Al-Riffa and it may be a tough game between close rivals. In the last game of round 3 Al-Riffa beat Al-Najma on the road 84-74. 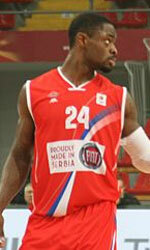 The most impressive performance of 3rd round was 27 points and 12 rebounds by Shawne Williams of Al-Riffa. Another interesting game for Al-Muharraq (2-1) which played in Manama against Al-Ittihad (1-2). Al-Muharraq won 74-66. Al-Muharraq brought some defensive toughness making 7 blocks. It was a great evening for the former international center Chester Giles (211-85, college: Oregon St.) who led his team to a victory with a double-double by scoring 16 points, 20 rebounds and 7 blocks. Ahmed Aldurazi helped adding 17 points, 5 rebounds and 6 assists. Four Al-Muharraq players scored in double figures. The best for the losing side was Bosnian-Serbian center Mile Ilic (215-84) with a double-double by scoring 29 points and 25 rebounds and Ali Ghadeer scored 11 points and 6 rebounds. Al-Muharraq will play against Al-Manama in Manama in the next round and it will be for sure the game of the week. Al-Ittihad will play on the road against Al-Riffa and it may be a tough game between close rivals. First defeat of league's leader Al-Ahli (2-1) against Al-Manama (2-1) 80-69 was the most important game of the last round. Al-Manama looked well-organized offensively handing out 24 assists. It was a good game for international Wayne Chism (206-87, college: Tennessee) who led his team to a victory with a double-double by scoring 22 points, 16 rebounds and 4 assists. The former international forward Ahmed Ismaeel (203-90) contributed with a double-double by scoring 13 points, 10 rebounds and 6 assists for the winners. Five Al-Manama players scored in double figures. American-New Zealand forward Marcel Jones (203-85, college: Oregon St.) answered with a double-double by scoring 19 points and 12 rebounds and Ali Aqeel added 21 points in the effort for Al-Ahli. Al-Ahli's coach rotated ten players in this game, but that didn't help. Al-Ahli will play next round against Al-Najma trying to make it back to the top of the standings. It will be a derby game for which supporters look forward to, where their team will face at home their local rival from Manama - Al-Najma. Al-Manama will try to continue on its current victory against Al-Muharraq in Al Muharraq. There was a small surprise when Al-Riffa (1-2) beat Al-Najma (1-2) in Manama 84-74. They outrebounded Al-Najma 49-33 including a 37-25 advantage in defensive rebounds. It was a great evening for American forward Shawne Williams (206-86, college: Memphis) who led his team to a victory with a double-double by scoring 27 points and 12 rebounds. The former international guard Mohamed Kawaid (-89) helped adding 18 points, 7 rebounds and 7 assists. 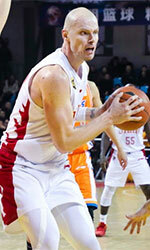 Al-Riffa's coach Audrius Prakuraitis allowed to play the deep bench players saving starting five for next games. The best for the losing side was American Kevin Rogers (206-86, college: Baylor) with a double-double by scoring 18 points, 14 rebounds and 4 assists and international Mohamed Buallay (-95) scored 16 points, 6 rebounds and 4 assists. Both teams had four players each who scored in double figures. Al-Riffa will play against Al-Ittihad (#6) in Manama in the next round. Al-Najma will play on the road against Al-Ahli in Manama and it may be a tough game between close rivals.